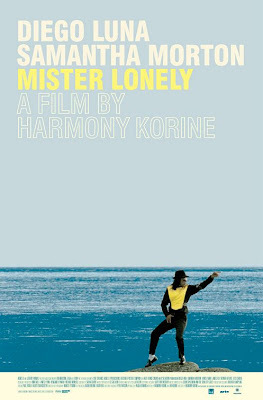 It may never be made clear how loneliness leads people to become celebrity impersonators who want to live in a commune together in some sort of bizarrely euphoric harmony, but it is this set of circumstances that triggers director Harmony Korine’s new film Mister Lonely. It may also never be made clear why these specific celebrities are the ones that become the focus of the film (if it can be called focused) or what sky diving nuns have much to do with anything, other than creating an outlet for Werner Herzog to emerge as an actor. Korine is admittedly a director drawn purely to images, most commonly images of outcasts, as a Q&A session with the man made clear. Say what you will about the supreme lack of empathy for the suffering of characters, illustrated in his horrific debut feature Gummo (1997) and (for better or worse) the placement of style far ahead of narrative substance, made evident in his provocative entry to the Dogme 95 movement Julien Donkey-Boy (1999), Korine’s cinema of images is in no way perfect and, at least in my mind, clearly still developing, yet each film manages to create some profound images out of seemingly very little. If Mister Lonely is seen as somewhat more commercial than his previous work, it may only be because of star actors (aka- better performances) and a flimsy, while still vital, basis in melodrama. By no means a revelation or utter failure (the two categories critics generally place Korine’s work within) Mister Lonely is an interesting work which fails more than it succeeds, but is very much worth seeing for the way it reflects the mindset of people on the fringe of society and a director who is practically asserting himself, within the film community, much in the same way. Much in the same way as Julien Donkey-Boy, Mister Lonely works on a scene by scene basis, despite being more invested in its spare narrative. The central celebrity to the film is Michael Jackson (Diego Luna). Though each of the people in the film are merely celebrity impersonators, they do all they can to be the celebrity. Michael is Michael from the time he wakes up in the morning until he goes to bed. The same goes for each of the celebrities Michael encounters when he befriends Marilyn Monroe (Samantha Morton) while performing at a nursing home and is convinced to come and live on a celebrity-impersonator commune in the Scottish Highlands. While some of the celebrities are maintained by overstated gimmicks that limit their growth as characters, Michael and Marilyn open up the understanding that each impersonator is, in fact, a real person aside from the celebrity they represent. There is a beautiful scene when Michael is leaving his apartment and bidding farewell to the space that meant so much to him. This could quickly turn into a terribly comedic moment, allowing us to laugh at Michael for being so “out there”, but the scene is handled with restraint and a delicate grace that shows some real maturity in Korine’s direction. Combine that with some beautiful images of Michael on a clown bike with a toy companion flowing behind and nuns skydiving on a bike without a parachute and there is a strong dialogic link between the characters and images. If Korine can manage to keep this sort of restrained balance throughout the course of an entire film, it will be a terrific achievement. However, while Mister Lonely is primed to be a meditation on personas and performance in the gossip culture of the 21st century, for the bulk of the film that seemingly major factor is of no particular interest. 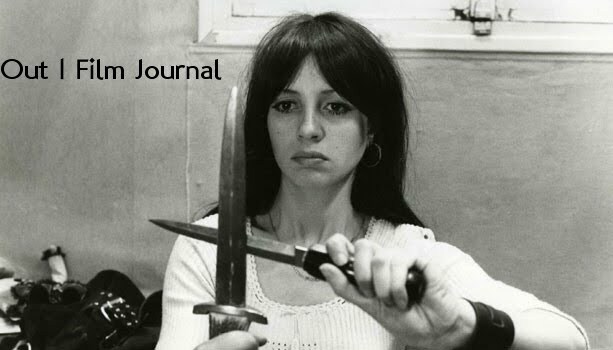 Rather, the film focuses on antics and events that happen on the commune or with the nuns which, while it may help in signaling the shifting moods of the film, fails to keep Mister Lonely afloat. With very little sense of pace and an oftentimes unempathetic camera, Mister Lonely drags when the free-wheeling attitude of the film collides with some supremely problematic and depressing moments. The multiple scenes of Charlie Chaplin attempting to violently dominate Marilyn Monroe may be uncomfortable, but it would be a venture to call them “successful.” Aside from that, when the impersonators put on a theatrical show for a very small amount of visitors, we are allowed to view the characters as a sideshow attraction which is detrimental in finding a real connection with any characters that will grant the film its melodramatic jump after the show. Being a sideshow may be a part of the media circus, and certainly people call Michael Jackson a sideshow or freakshow (take your pick). Mister Lonely allows humor to be found in the impersonator’s antics, which is understandable, but when it begins to look down upon the people it is attempting to identify with, the lack of caring highlights the film’s self-absorption and overwhelms any kind of beautiful restraint that was seen in previous scenes. The ending of the narrative takes the right steps in creating some sort of message on discovery of the self and our relationships with “the Real.” This smart, psychoanalytic turn is where Mister Lonely needs to end up, and in that way it is a success, but Korine’s inability to establish a tonal cohesion makes it a confounding viewing experience. There is so much success and failure varying from scene to scene that its hard to discuss where Mister Lonely ends up. I certainly have no answers and neither does the film (or Korine, for that matter.) But then again, maybe that is what makes Mister Lonely a wonderful conundrum of a film. Just when it seems like new heights of maturity are being reached, “Mister Lonely” moves right back into arrogantly laughing above its subject who are wallowing in misery, a characteristic that haunts Gummo. At the same time, its terrific scenes and wonderful moments, disparate from “the plot” or not, keep the film supremely watchable and, at times, downright enlightening. In its mildly hysterical, viciously cynical conclusion, Mister Lonely scans the world for some kind of frustrating truth that is impossible to fine. Just when things finally seem right and grandeur is within reach, they all turn out wrong. There is not a better summary of Mister Lonely than that.